Much of my childhood was spent exploring the Scottish hills. It is a place that has always compelled me to explore its wild beauty and unforgiving conditions. I’ve been mesmerised and massacred by conditions Scotland has thrown at me over the years and yet I’m still unable to resist the urge to head north of the border once more. 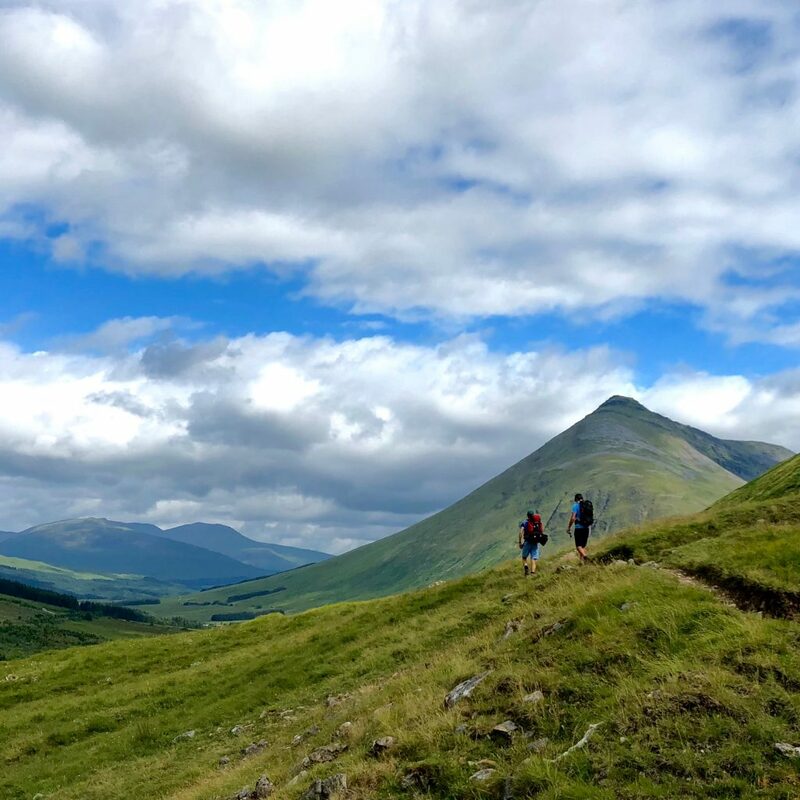 The West Highland Way is a 95-mile route and one of the most historic paths in the UK. It attracts people from all over the world as it slowly heads north from Glasgow (Milngavie) to Fort William along a former cattle path. Starting in the outskirts of a major city to conclude in the misty mountains of the Highlands is a wonderful transition through scenery, culture and history. From a manageable opening stint, it skirts, in a variable and unrelaxing manner, alongside the Bonnie Banks o’ Loch Lomond. The first 40 miles were a solo venture and I bit off enough that made chewing a fairly unenviable and energy-sapping prospect. Bleak weather, minimal training and a heavy rucksack did not make a comfortable combination. 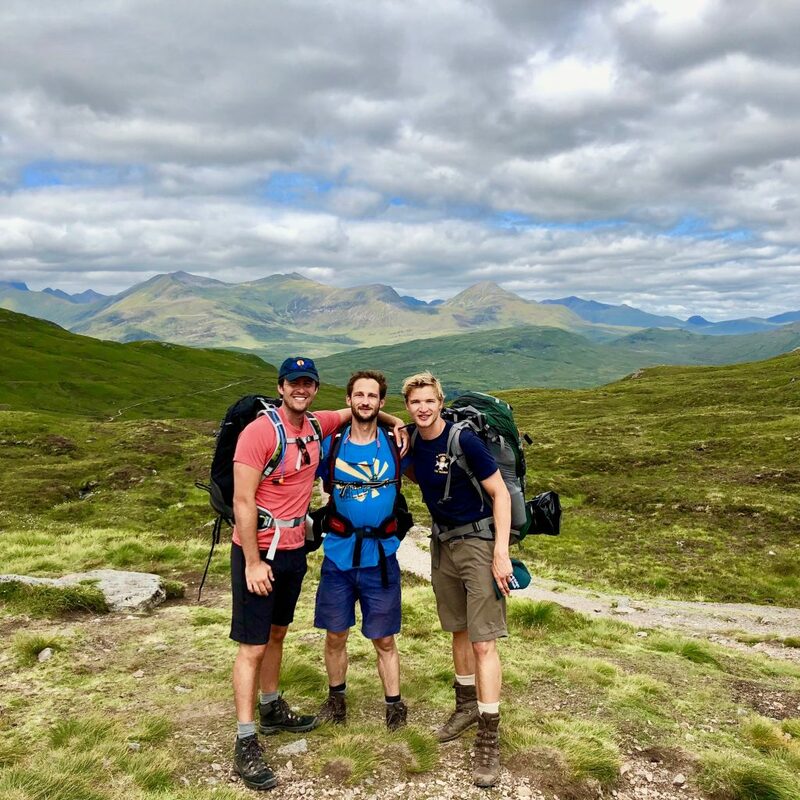 Days 3-6, our team of three, having finally co-located in Tyndrum, headed deeper into the Highlands. All being St Andrews graduates, our bias towards Scotland was present already but this venture only heightened that passion. The eerie silence of deep mist in a shady Glen is as much a joy as clear blue skies and purple hue overlooking Glencoe. They’re two sides of a natural and highly appreciated coin. One of the real joys of this kind of trip is the people – both teammates and unexpected encounters. Our boisterous team of three added a shared and amusing element to the trip unattainable when going solo. Anything physically or mentally strenuous can be enlightening to people’s characteristics, positive or negative, and this was very much the former. 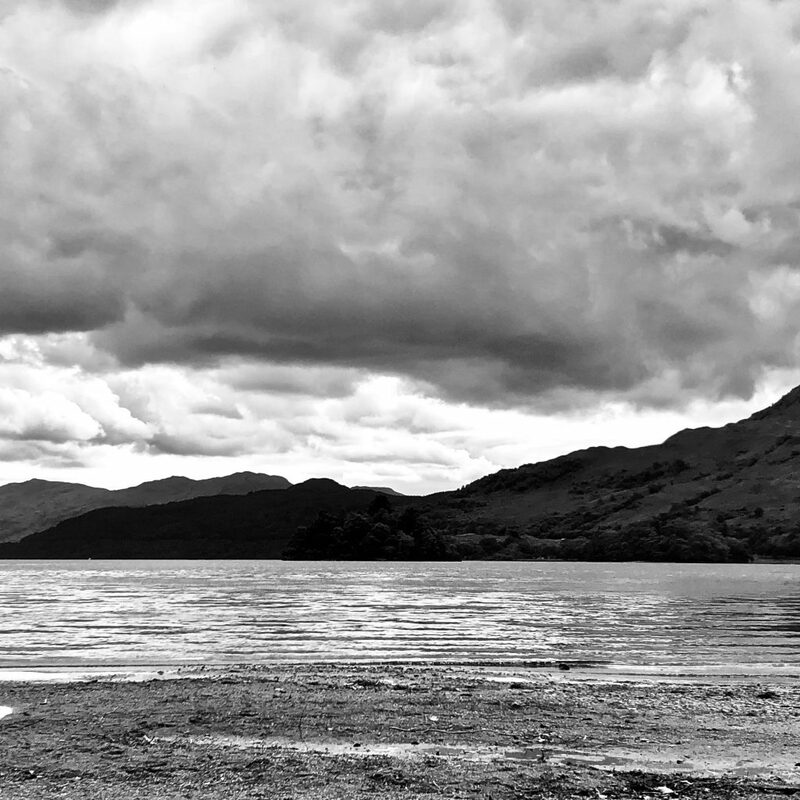 We laughed and we sang the ‘Bonnie Banks o’ Loch Lomond‘…a lot. We fled from the orchestrated and demonic midgie attacks we were unable to defend. 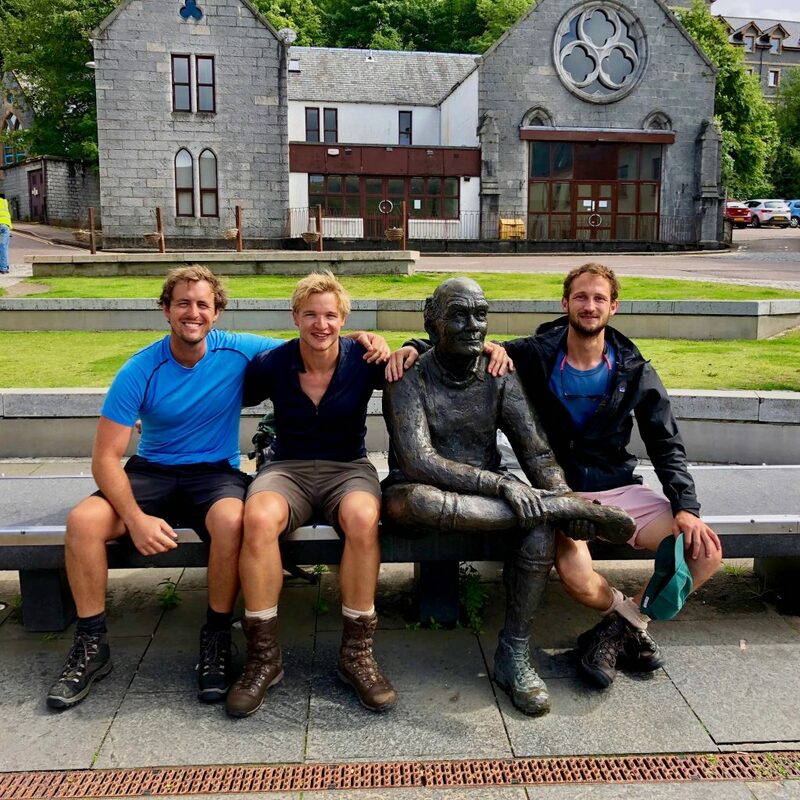 We hugged as we reached our endpoint – the Sore Feet statue in Fort William – and could toast to our journey as we sampled the local beers. As for unexpected encounters…we certainly saw the full spectrum. 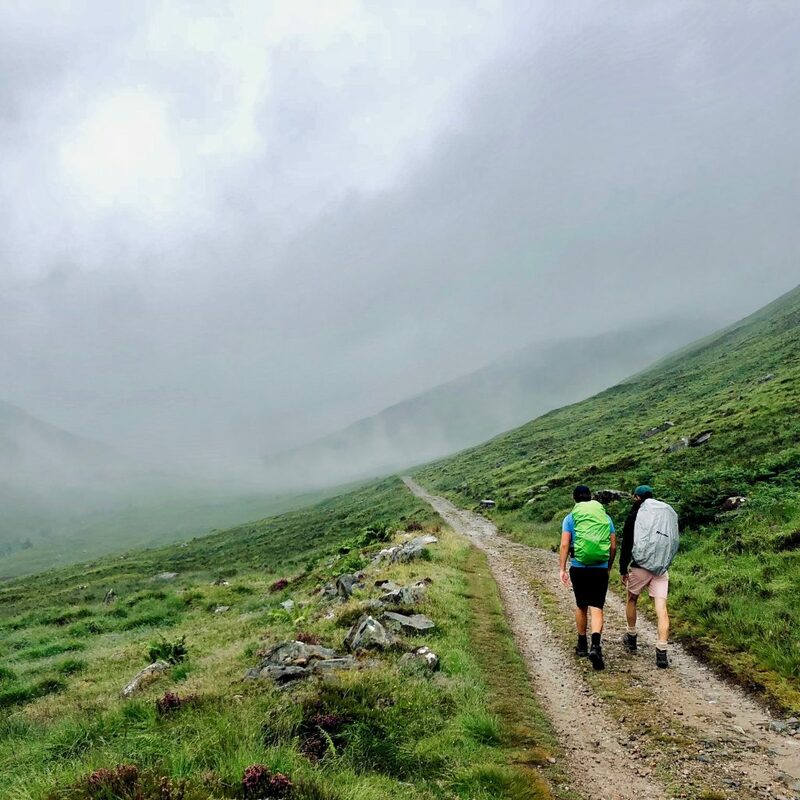 Canadian ultra runners, kilt-clad Highlanders, Yorkshire climbers, German organists, Dutch students, Belgian families, South African travellers, German backpackers and everything in between. A particular highlight has to be a Glaswegian football fan explaining to an American teacher the ingredients of Black Pudding – enlightening and disconcerting for her I’m sure. This is the other side of trips that forge more memories and experiences amongst friends. 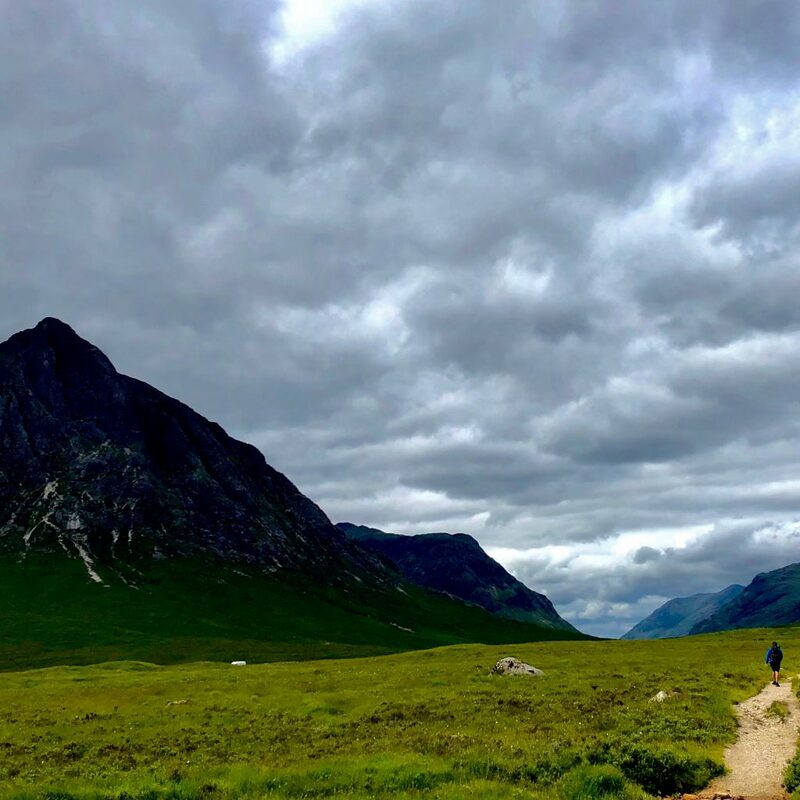 The West Highland Way is an awesome journey from the Lowlands of Scotland to the Highlands. An achievable, rewarding and highly enjoyable venture I would highly recommend to anyone that wants to get outside, challenge themselves and see the UK at its best. Have a watch of my video below to get a better idea of this wonderful journey. Scotland is a truly beautiful place and this was the best way I could convey that.